I think the one below is my favourite! 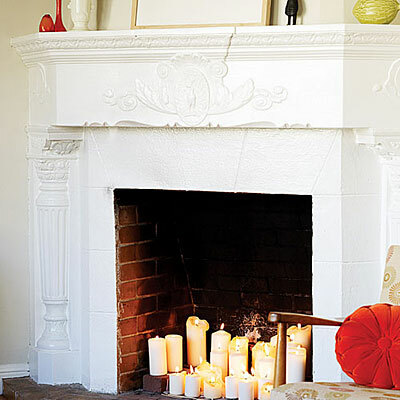 I love the idea of slapping a few pieces of wood together or salvaging an old mantle, and throwing a few candles under it. 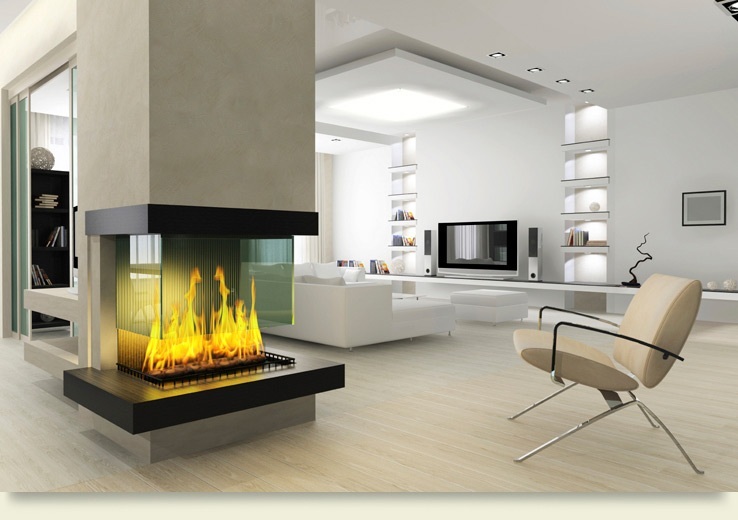 Even some LED candles in your faux fireplace would be safe for the pets while still giving a warm glow. Or make your own pillar-ish candles using tall glass jars with a little LED tea light from the dollar store plunked inside. The jars could even be wrapped with paper to mask the fake candle and give a softer glow. 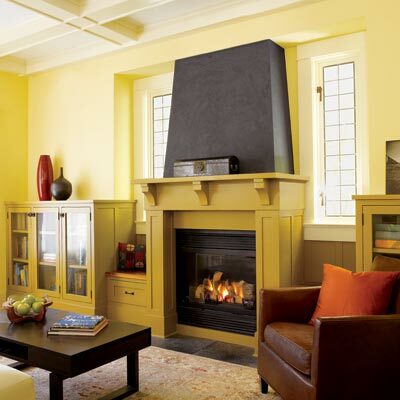 If you’re a little more ambitious, this last fireplace is called a rocket stove mass heater. 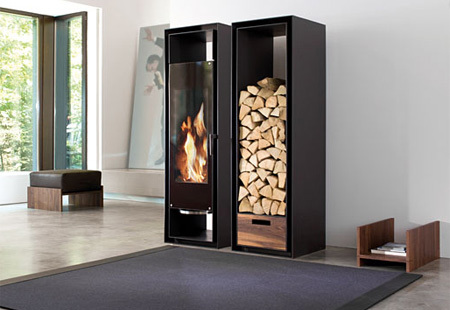 The creators claim that traditional fireplaces lose a lot of heat due to their construction, but this design boasts using less wood, having cleaner exhaust, and the heat from one fire can last for days. Plus it’s apparently easy and cheap to build yourself. 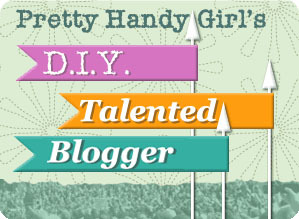 To check it out, click the image or the above link. Have to say it’s not the most attractive, but it would be nice and toasty sitting on that bench with some pillows. 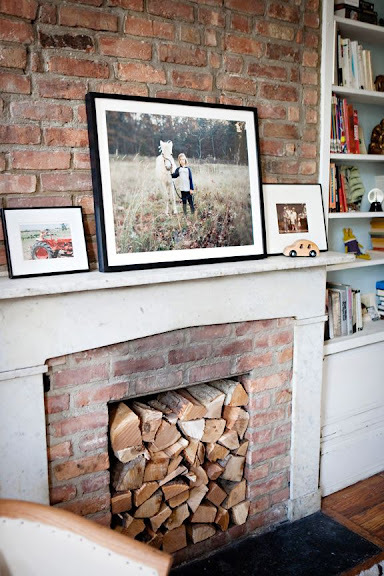 Are YOU a fire place person? 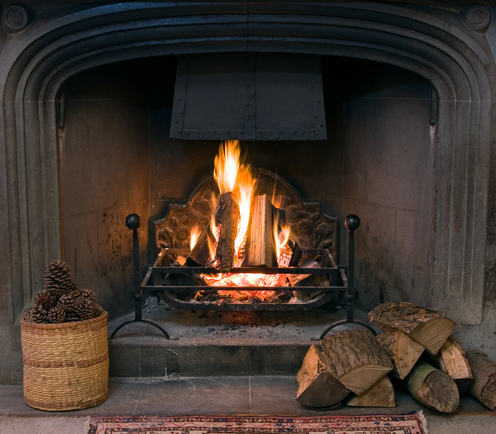 What are YOUR favourite ways to warm up the home in the cold weather? P.S. All photos are linked to their original sources, just click the image you're interested and be taken directly to it's site...magic!